Cranberry & Ragi Millet Muesli is a delicious and simple mix of oats, cereal, fruit, and nuts lightly toasted in sunflower oil. 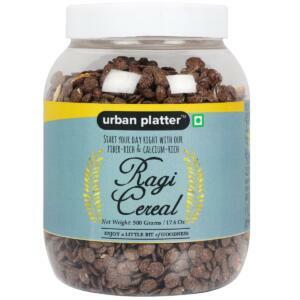 Urban Platter Fruit and Nut Muesli- Cranberry & Ragi Millet, 500g / 17.64oz [100% Natural, Gluten-free, Breakfast Cereal] Cranberry & Ragi Millet Muesli is a delicious and simple mix of oats, cereal, fruit, and nuts lightly toasted in sunflower oil. The perfect combination of carbs, healthy fats, and protein to jump-start your metabolism, and keep you energized all day long! The perfect choice for guilt-free indulgence, every morning. You can eat it as it is, cold with your favorite milk or soak it overnight to make the most of all the nutrition. 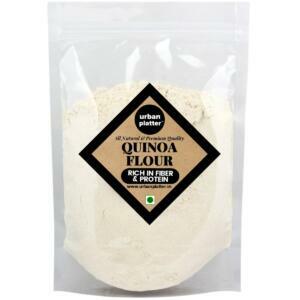 It can also be added to your cupcakes, cookies or pancakes.